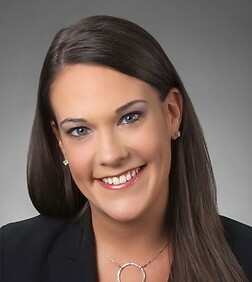 Lauren Grubb is an associate in the Corporate and Entertainment, Technology and Advertising Practice Groups in the firm’s Century City Office. Lauren's practice focuses on advising public and private companies in a variety of corporate transactions including mergers and acquisitions, joint ventures and corporate governance. She also advises clients in all aspects of technology and media transactions, including the licensing, development and distribution of computer software and hardware; internet and new media licensing, development and marketing; online advertising; content licensing; mobile application and other mobile technology agreements; and terms of service and end user licenses for web and mobile. She represents clients in various industries including entertainment, technology, fashion and apparel and financial services. Prior to joining Sheppard Mullin, Lauren worked in the Global Advertising, Media & Sponsorship group at American Express where she negotiated branded entertainment, co-marketing, media, and sponsorship deals with leading entertainment, media and technology companies. She also managed the creative development and execution of online advertising programs and capabilities, online sweepstake initiatives and other direct to consumer marketing initiatives involving data protection and privacy matters. Represented Yahoo! in agreement with Microsoft. Represented SolarNet, LLC in its acquisition of the assets of DC Power Systems and Stellar Energy Solutions and in a majority investment in SolarNet, LLC by ITOCHU Corp. Represented Sony Pictures Entertainment Inc. in its acquisition of Embassy Row, LLC. Represented Splash News & Picture Agency in the sale of its assets to Corbis Images. Represented Outcast Media International in a combination with Adtekmedia, Inc. and Captive Media Network, LLC to form Outcast Media Holdings, Inc., including an investment by Parthenon Capital. Represented RealD, Inc. in the negotiation of system leasing agreements with both domestic and international exhibitors. Represented leading newspaper and media company in connection with all forms of media and technology deals, including large scale IT and business process outsourcing transactions. Negotiation of all forms of online advertising agreements including ad network agreements, ad servicing agreements, ad sales representation agreements and ad exchange agreements. Negotiation of multi-million dollar white label e-commerce co-marketing agreements. "Cosmetic Testing Gets a Fur Friendly Makeover", July 20, 2007.